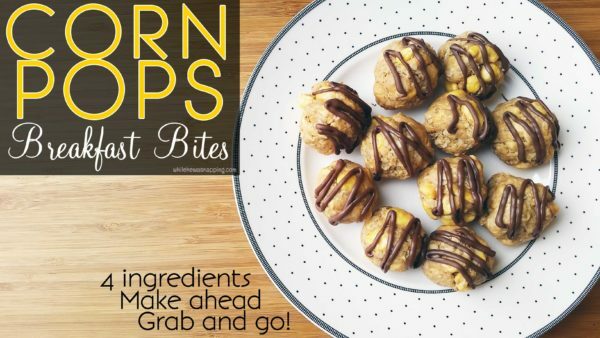 Start the day off right with grab and go Corn Pops Breakfast Bites. They also make a great snack anytime. A super easy, make ahead in the microwave recipe that will ease the morning rush. Pour 1 cup of Corn Pops into a microwave safe bowl. 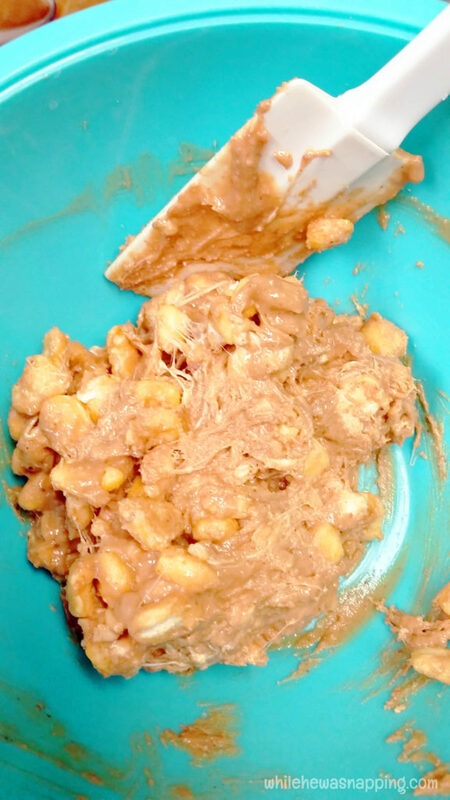 Combine the marshmallows and peanut butter in the bowl. 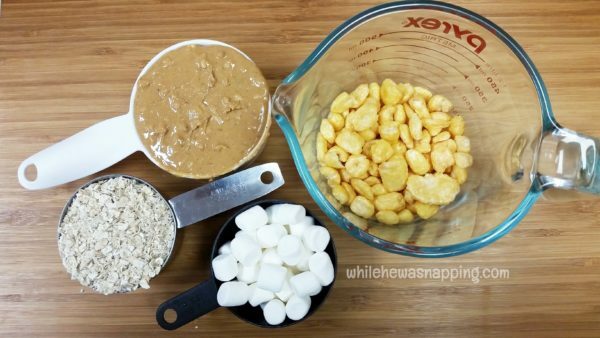 Microwave for 20-40 seconds, until the marshmallows and peanut butter are melted. Add the oats. 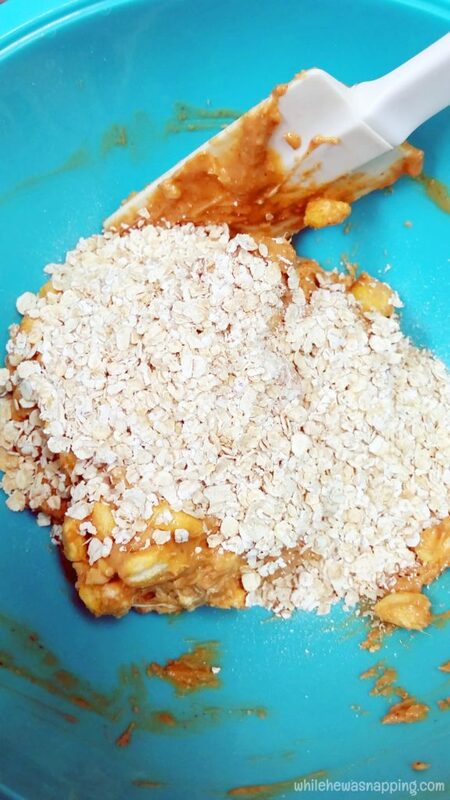 I mix in the oats with my hands to help them get evenly distributed though out the mixture. 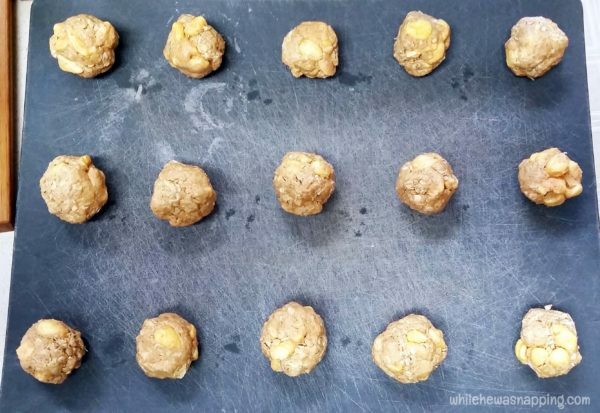 Roll the mixture into 1-inch balls and set on a cutting board or wax paper. Or you could shape them into bars if you preferred. Repeat previous step until all of the cereal mixture is rolled into balls. Place cutting board in refrigerator. Melt chocolate chips in a microwave safe bowl. Heat for 30 seconds at a time until chocolate is all melted. 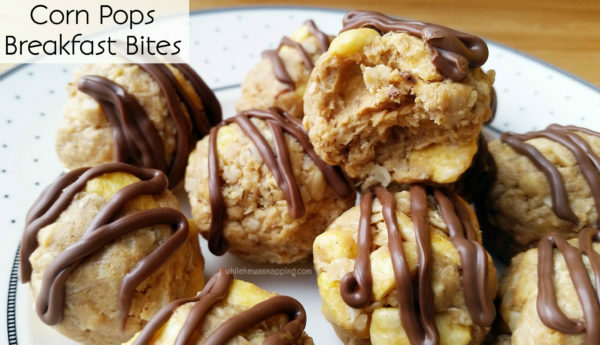 Get the cereal balls back out of the fridge and drizzle with chocolate. Return to fridge for 10-15 mins until chocolate is set. Store in an airtight container for up to 7 days. Refrigerate if your peanut butter requires it.